Besides our wonderful residents, activities are a major part of what makes life at The Heritage unlike anywhere else. While many people fear that making the change to assisted living means their lives will become smaller and less exciting, it doesn’t take them long to realize that assisted living actually opens life wide open. They go from feeling isolated and limited to being embraced by a community and surrounded by opportunity, excitement, and friends. You need to be able to enjoy the good things in life, and at The Heritage, we make it easy. The Heritage Assisted Living offers a wide variety of recreational activities to meet the needs and preferences of each individual. Our residents participate in planned activities and events seven days a week, including shopping and restaurant outings. Transportation is available for recreation and appointments. We design each week’s schedule to provide diverse offerings that change just enough to be interesting while remaining consistent so you can build a weekly schedule if you would like. 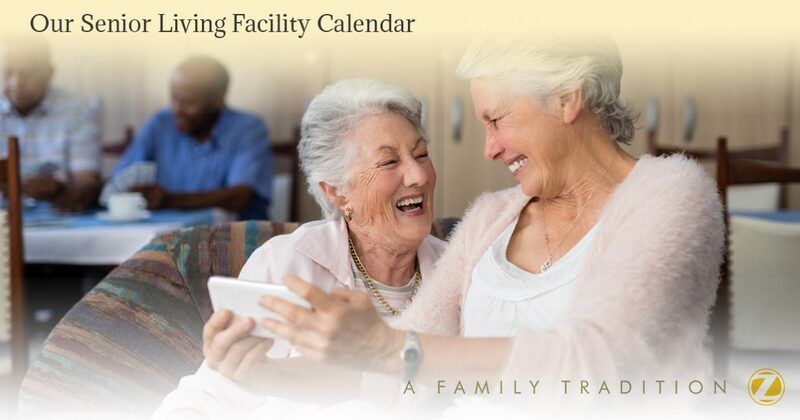 Click the button below to see our senior living facility’s monthly activity calendars. Please feel free to contact us with any questions!